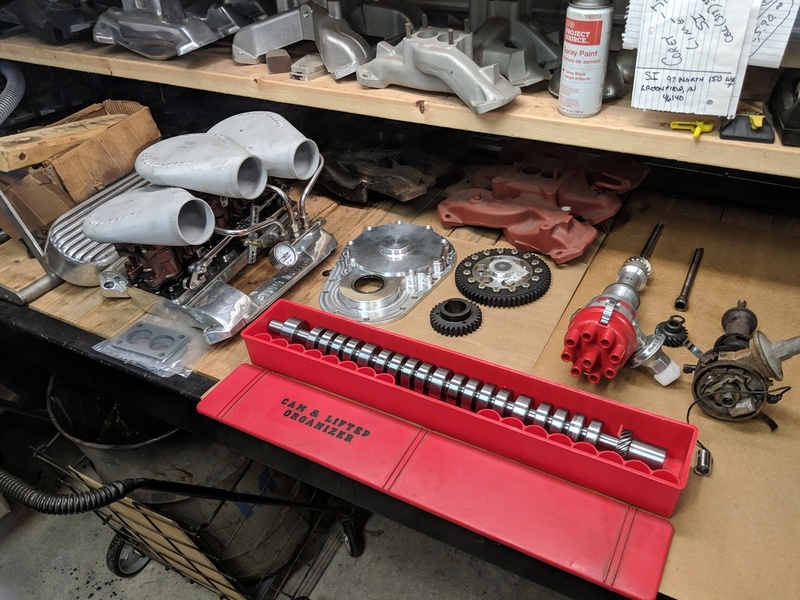 WANTED: R3 or Roller Cam shaft - Racing Studebakers! Keep a check on the drivers site. A few weeks back, a guy was looking at having more roller cams built. Since it was by Natchi (spelling ?) and Don, that built the first batch, he asked if I'd help with a second batch. I said sure. But, that's, so far...where it's stopped. LSM will do batches of four. I bought an unground blank from Ted H. a few years back and that's who made his. I had Comp Cams grind it for me. It's going in a 471 supercharged motor. I would be interested in another blank if you don't want to invest in four all yourself. Approximately how much for four? Just asking, but since LSM claims to be a custom cam grinder, why did you send one of their blanks to Comp? I could get with the guys that did the first group, see if they are interested. I know Don the grinder would be interested. I'd have to find out the minimum quantity from them. I "think" it was 10, but not sure. These WOULD be "one" piece cams. We'd need to move the lobes around also..! I was planning on using Comp lifters. I had a good relationship with them with other cam work. I saw no reason to go to LSM. LSM was good at getting me information on the blank I had. Phil Harris should soob be able to supply you with a nice billet steel camshaft. I know he has been sent some, and some bronze (alloy) distributor gears are being made. Phil has a source for grinding your profile. Phil Harris at Fairborn Studebaker has a batch of Roller Cams I made and is in the process of testing them. I just finish machined a bar to produce distributor gears using SAE 65 bronze to run with the roller cams. Just be real careful on the dimensions fore and aft on the roller cam positions. A couple people have had roller lifter axle interference issues due to one roller being slightly off and the roller cam lobe was contacting an adjacent lifter. I asked him for a roller cam profile for a N/A 259 and 289 with solid roller lifter and a hyd roller lifter. Also one for a supercharged 289 with solid roller lifter and a hyd roller lifter. What do y'all think about these numbers? What boost was used for those numbers? These spec's are to help determine a marketable cam spec for the 'common' Stude owner who wants to step up to a roller cam from an R2 R2+ regrind flat tappet. The spec's are not for a race engine, as that customer would have more/very specific parameters and spec's. Performance street engine, basically. Great information, thanks Jeff and Jack!